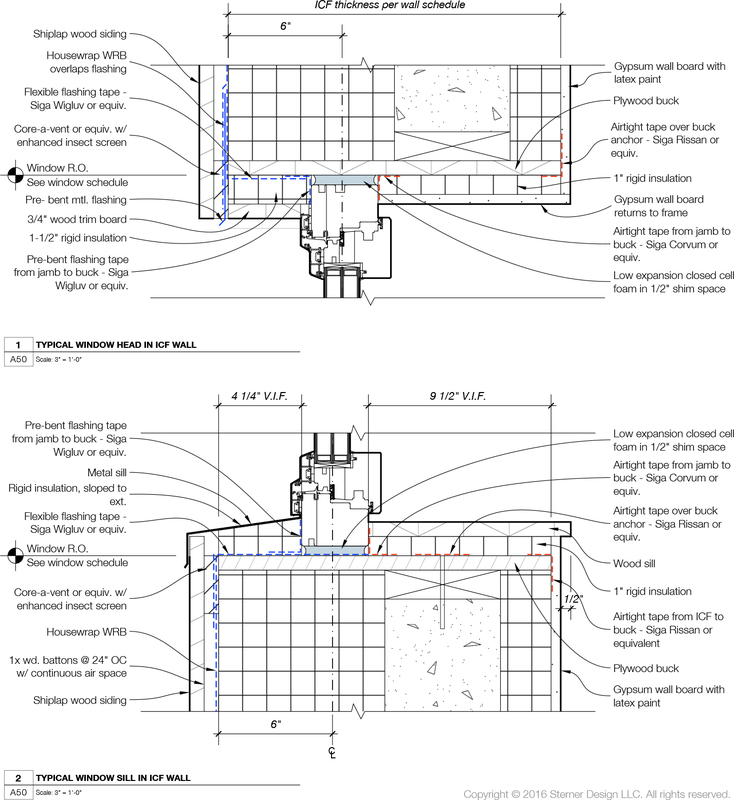 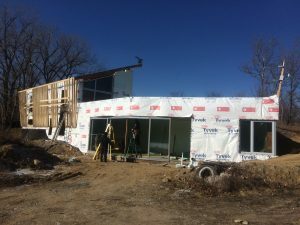 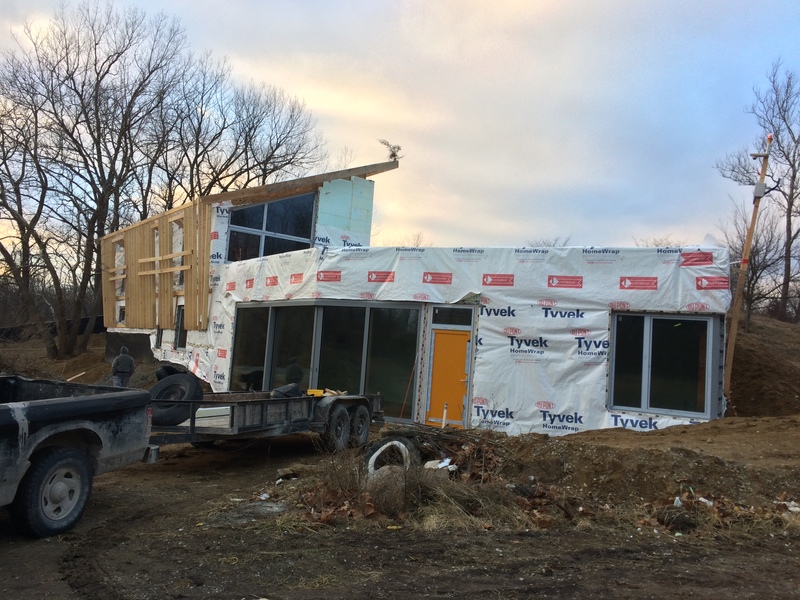 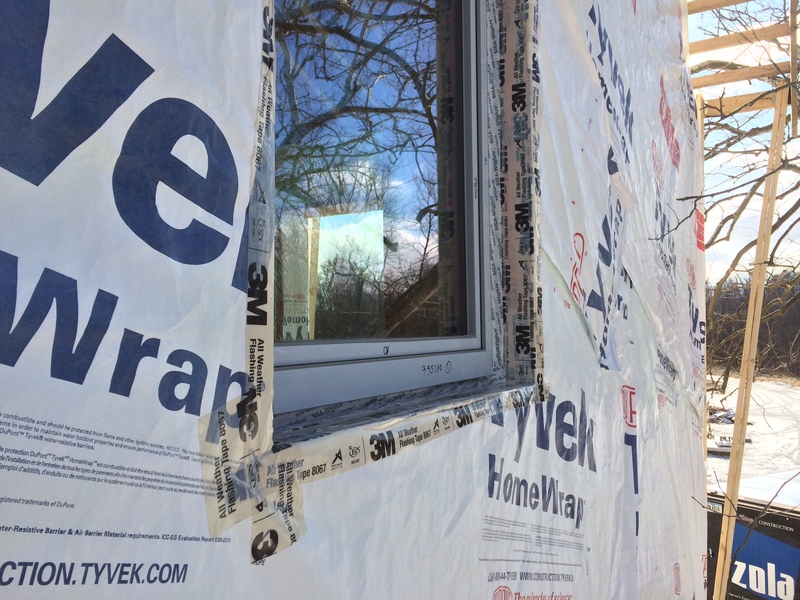 Water control on the exterior: using vapor-permeable Siga flashing tapes, properly lapped with the housewrap (which serves as the exterior water resistive barrier). 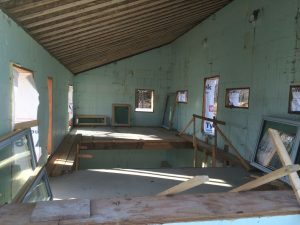 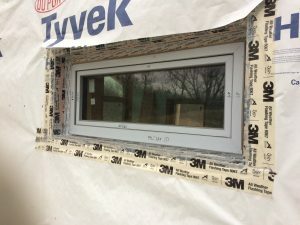 Air control on the interior: again using vapor-permeable Siga tapes to connect the window jamb to the plywood buck, and the buck to the ICF (whose concrete core is the air barrier for the walls). 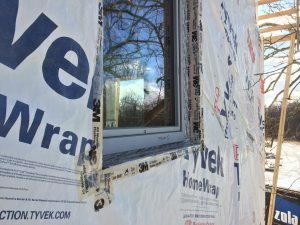 Over-insulation: The window frame is the weakest part of the assembly; by covering most of it with 1-2” of rigid insulation significantly improves overall thermal performance of the window. Window in center of R-value: The most effective location for the window is in the center of the wall’s R-value (which doesn’t align with the center of the wall, thanks to the off-center concrete core). 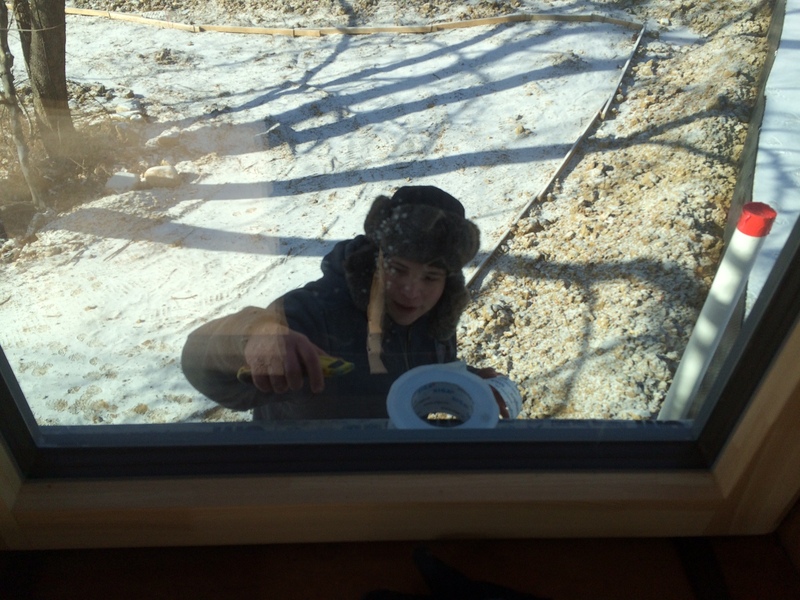 Lift windows in place using suction cups, shim to make level and plumb. 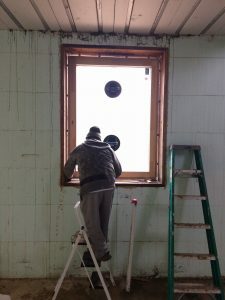 Then screw the clips into the window bucks. 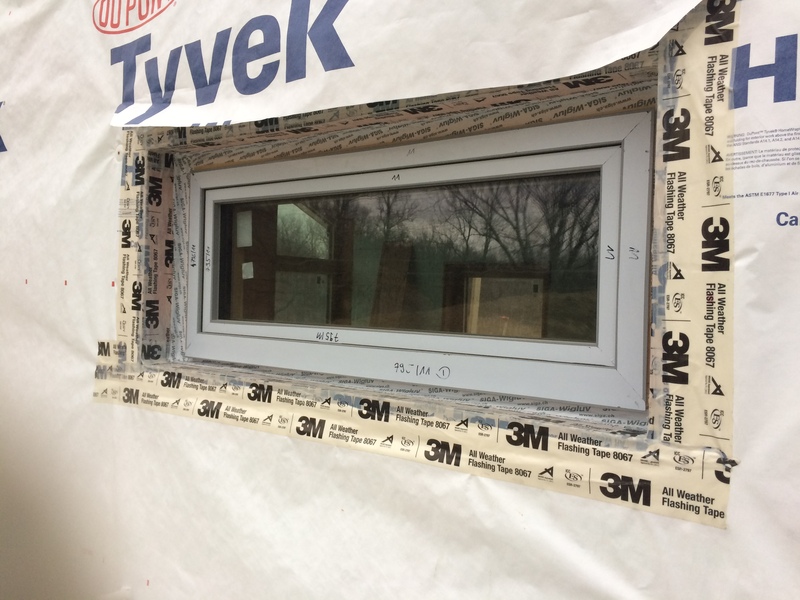 Add the interior air barrier tape (Siga Corvum), sealing the window jamb to buck, then buck to ICF walls, and also covering penetrations through buck (at clips). 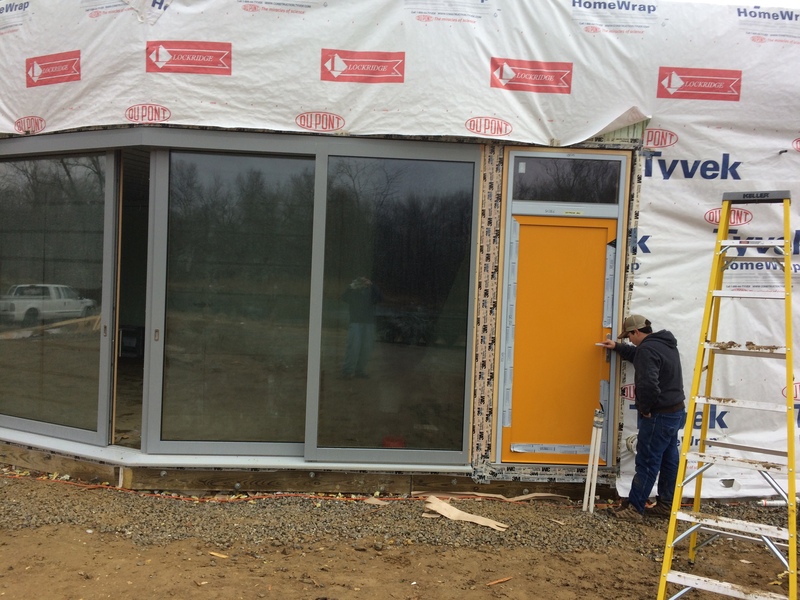 This will provide a continuous air barrier. 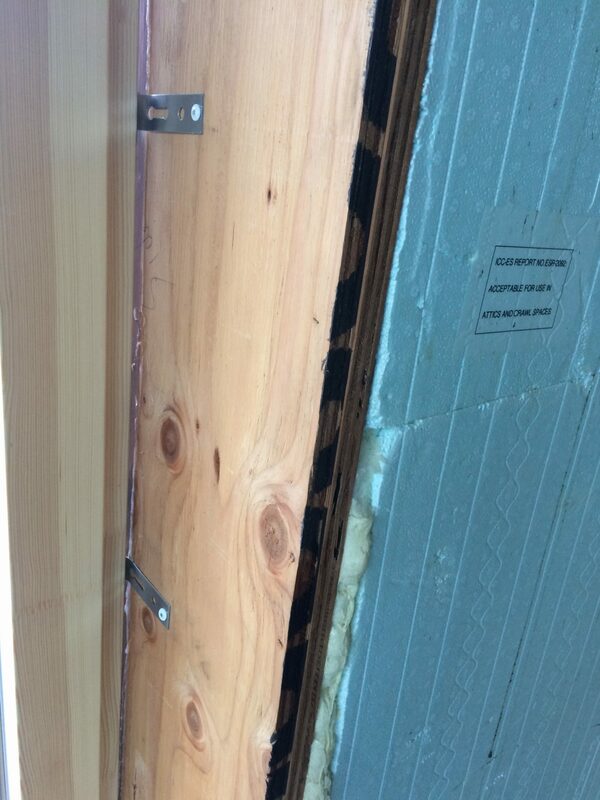 Over-insulate on both interior and exterior with rigid insulation, adhered with glue to the buck. 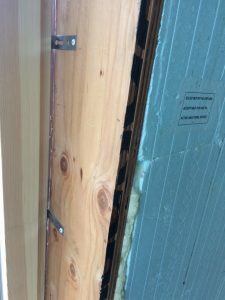 Add trim over the insulation. 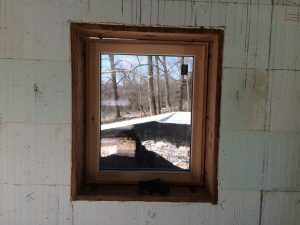 Windows are attached with clips to the window bucks. 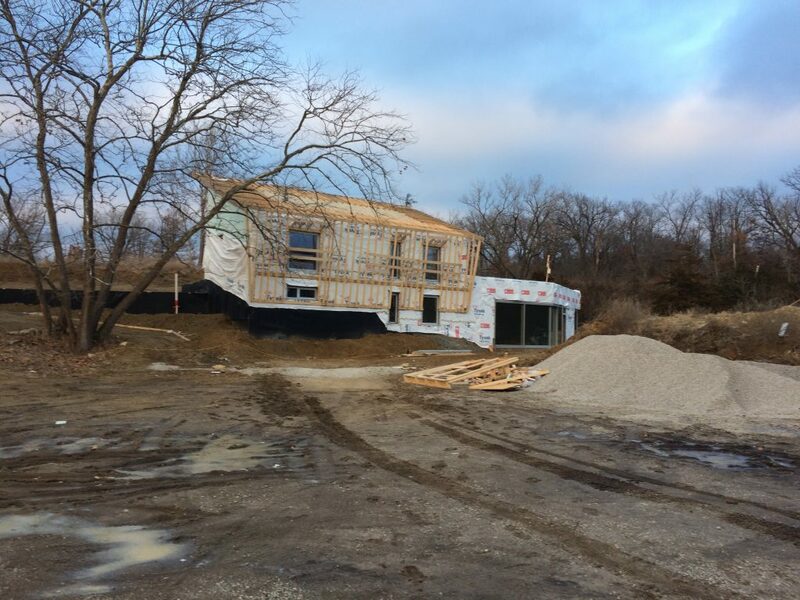 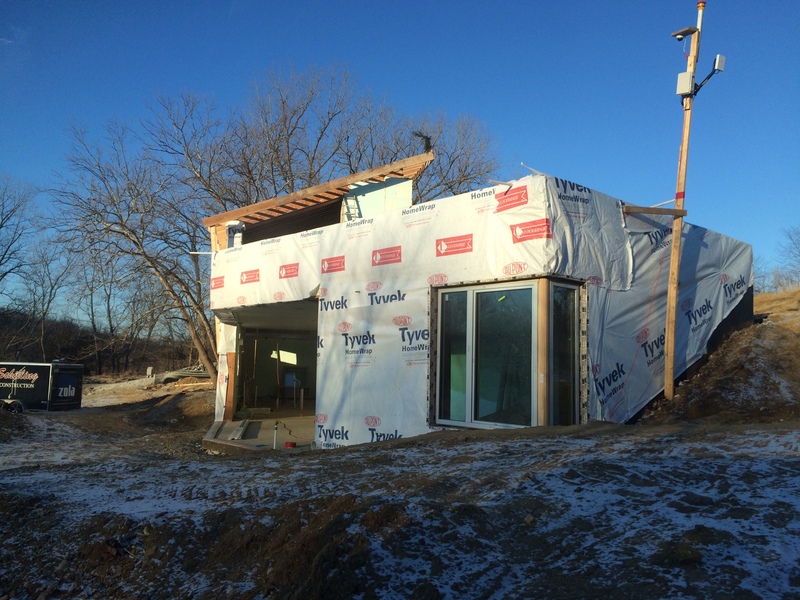 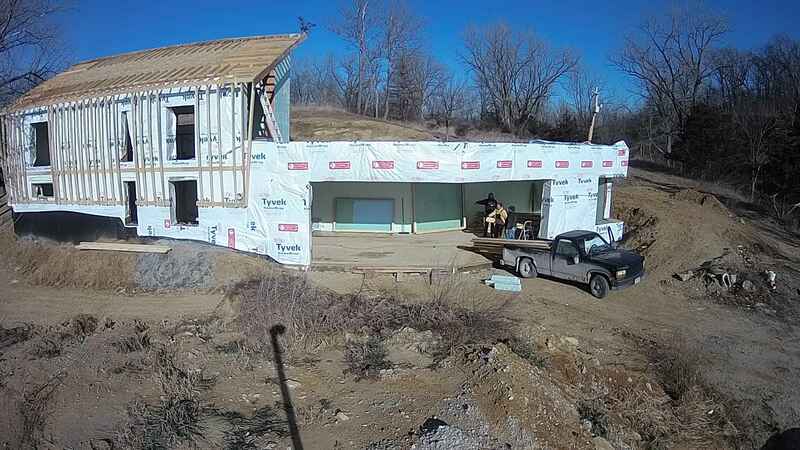 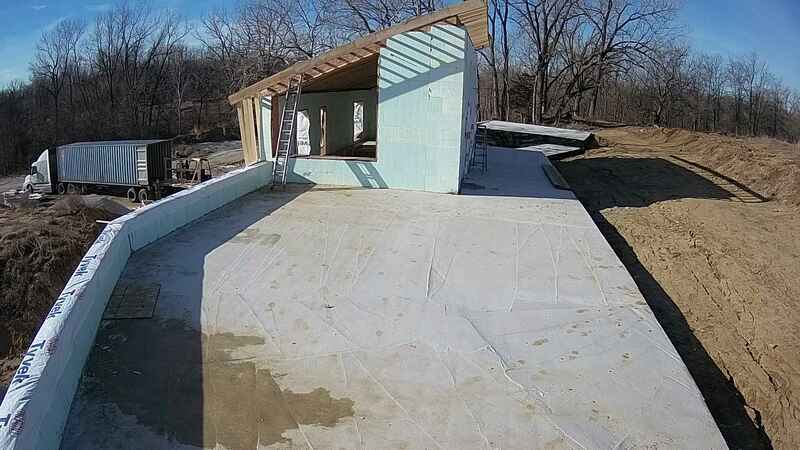 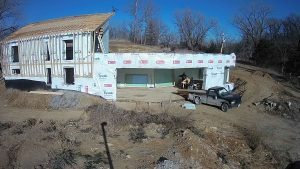 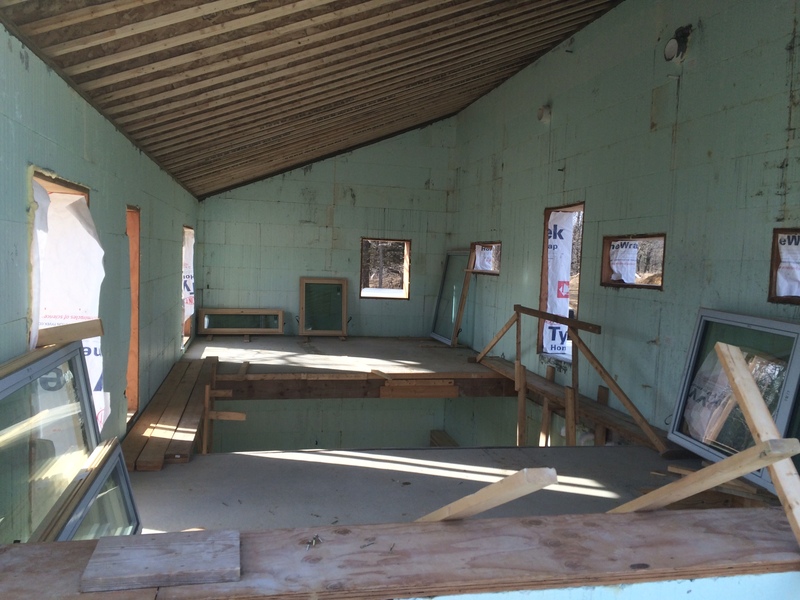 The space between the buck and ICF will later be covered with airtight tape. 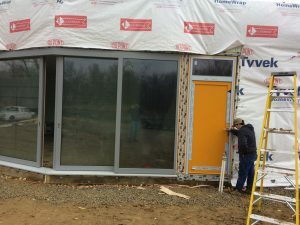 Exterior taping is complete: 3M flashing tape is used for flashing the rough opening, and Siga Wigluv connects the window to the 3M tape. 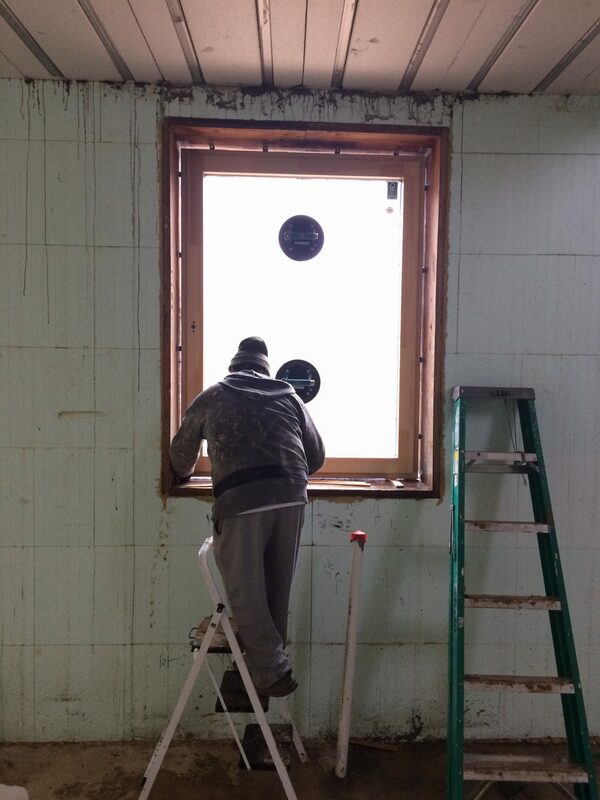 Window from the interior after exterior taping is complete.